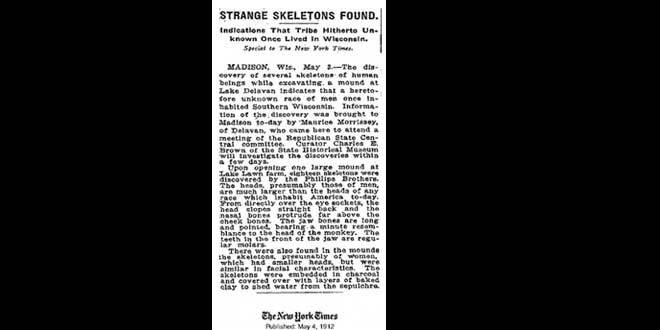 On May 4, 1912, the New York Times published a surprising news: Archaeological excavations near Lake Delavan in Wisconsin had found skeletons of extraordinary dimensions. In other words, they looked like giants. Their heads were elongated and larger than normal. According to news of the time, the skeletons found by a group of archaeologists of the University Beloit College of Wisconsin measured between 2’3 and 3 meters. These were just some of the many skeletons that were discovered around the globe. However, the mystery started after the discovery was made as nothing more was known about the skeletons. Where did the skeletons end up? Were they deliberately hidden from the public? Interestingly, the area where the Giant skeletons were found is known for giant-sized skeletons which do not seem to correspond to the characteristics of ordinary people or natives to the area. 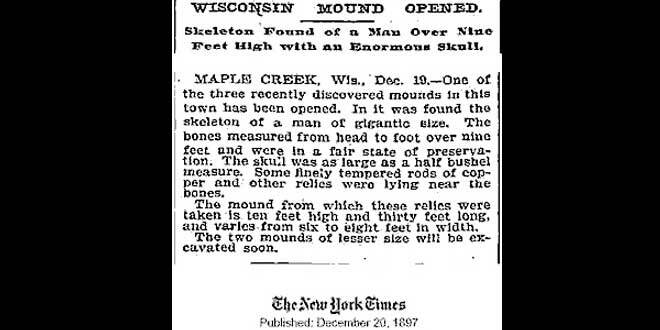 In 1891, scientists from the Smithsonian Foundation found a giant skeleton in the excavations of the pyramidal tombs in the Madison area, curiously also in Wisconsin. All skeletons allegedly disappeared as well. The Smithsonian states they do not know anything about them, or any kind of oversized skeletons. However, there is evidence in the press for nearly 100 years of huge skeletons findings throughout the American Midwest. In Minnesota, Ohio, Iowa, Indiana, Kentucky and Illinois the discovery of this type of skeletons is well documented. 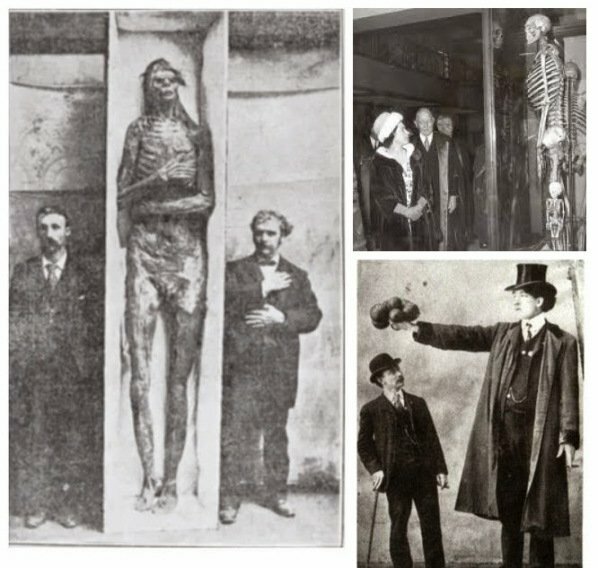 “Conspiracy theorists” believe that the American Government is hiding something and has no interest whatsoever to talk about a possible race of giants that inhabited the United States centuries ago. But the America’s aren’t the only continent where such discoveries have been made. In other parts of the world, researchers have also found human remains that seem to belong to a race of giants. Despite all the evidence, it must be mentioned that many similar discoveries were nothing but elaborate hoaxes which regrettably discredit authentic discoveries made around the planet. Another fascinating example is the 38-centimeter long finger found in ancient Egypt. The remains of this finger are impressive; it is a huge mummified humanoid finger that has 38 centimeters in length. Researchers from Egypt believe it had to belong to a creature that was over 5 meters height. Only a few people got to take images of this incredible artifact in 1988. What do you think? Is there evidence that giants lived on Earth? Or are all of these discoveries nothing more than elaborate hoaxes?